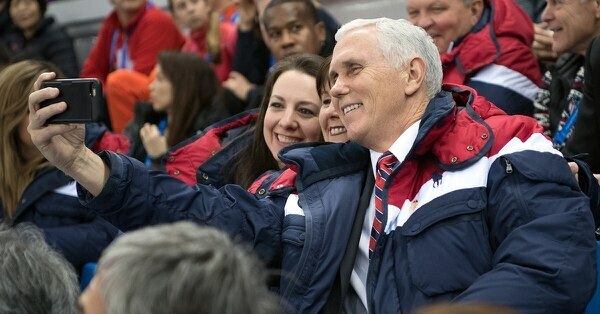 ABOARD AIR FORCE TWO — Vice President Mike Pence’s efforts to keep North Korea from stealing the show at the Winter Olympics proved short-lived, drowned out by images of the two Koreas marching and competing as one. And as the South appeared to look favorably on warming ties on the Korean Peninsula, Pence insisted Saturday “there is no daylight” among the United States and allies South Korea and Japan in intensifying pressure on the North over its nuclear and missile programs. It was the U.S. that appeared to be the one left in the cold, especially after the sister of the North Korean dictator extended an invitation from her brother for Moon to visit the North. That was the clearest sign yet of an expanding diplomatic opening opposed by the Trump administration. Should the US enforce a naval blockade against North Korea? Top U.S. officials and defense experts are advocating for maritime interdiction and a potential naval blockade to fully enforce sanctions on North Korea. Moon was all smiles as he greeted Kim Yo Jong, the sister of North Korean leader Kim Jong Un, and Kim Yong Nam, the country’s 90-year-old nominal head of state, for lunch at the presidential residence. Pence said Friday that the U.S. would oppose talks between the two Koreas until the North agreed to open negotiations on ending its nuclear program. On his flight to Alaska on Saturday, the vice president said he left Asia “encouraged that we will continue to work very closely to continue and intensify the maximum pressure campaign” against North Korea. He said war had forged “the core of the bond” between the U.S. and South Korea and that helps explains “why there is no daylight and there will be no daylight” between the two. 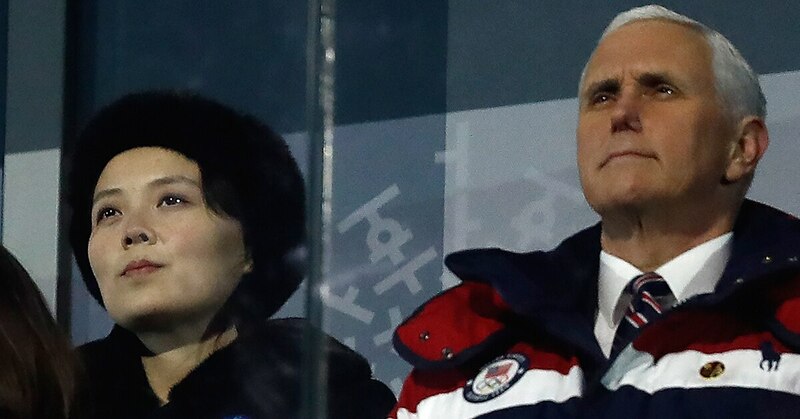 At the opening ceremonies Friday, Pence sat stone-faced in his seat as Moon and North Korean officials stood together with much of the stadium to applaud their joint team of athletes. White House officials stressed that Pence had applauded only for the American team, but Asia experts said the vice president’s refusal to stand could be seen as disrespectful to the hosts. U.S. officials have been urging South Korea to be cautious in its rapprochement with the North. But North Korea’s record on human rights and the growing threat from its nuclear weapons program appeared out of mind. Even Japanese Prime Minister Shinzo Abe, who has shared the American skepticism of warming North-South relations and pressed Moon against falling for the North’s “smile diplomacy,” greeted Kim Yong Nam. At a Friday VIP reception for delegation leaders, Pence arrived late and stayed for just five minutes — and did not interact with the delegation from the North. “The Koreans will think it’s a mood kill,” said Frank Jannuzi, an expert on East Asia at the Mansfield Foundation in Washington. He criticized the Trump administration for straining too hard to signal disgust of Kim Jong Un’s government. As it turned out, with the two Koreas celebrating a moment of unity, the United States was left outmaneuvered by an adversary and out of step with an ally. Associated Press writers Matthew Pennington and Jonathan Lemire in Washington contributed to this report.